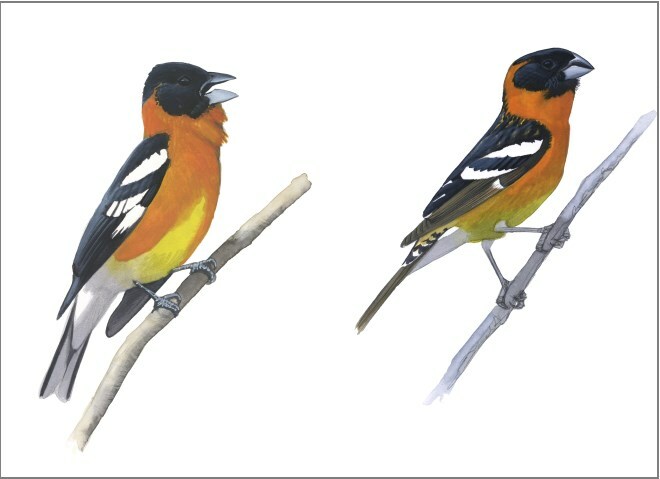 AGE DIFFERENCES: The folded wings and tail of the adult male Black-headed Grosbeak shown singing above are black and marked with large, contrasting white patches. Overall, the plumage of the first-year male is similar, but its wings and tail feathers are brownish, not black, and they have smaller and more diffuse white areas. Art by David Allen Sibley. Determining the age of songbirds in the field generally requires close views, careful study, and some experience. 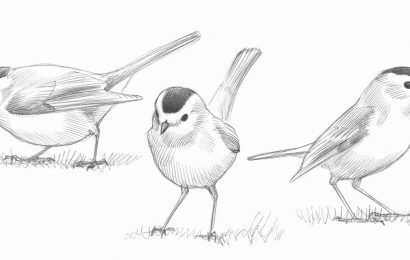 But in a few species in spring, the task can be relatively straightforward, and these birds provide a good starting point for understanding age variation in other songbirds. The key is a difference in wing-molt patterns between first-year and older birds. The difference really stands out on birds with black wing feathers. The crucial molt difference happened about eight months ago, at the end of the last summer, and becomes more visible in the spring. In late summer, adults of most species undergo a complete molt to winter plumage. The molt involves all of their feathers — body, wings, and tail. At the same time, first-year birds just a few weeks or months old also molt into winter plumage, but their molt typically involves only the body feathers. The birds replace most of the juvenal plumage that was grown in the nest, but they retain juvenal feathers on the wings and tail. Juvenal feathers tend to be drabber and slightly weaker than adult feathers, and they are also older by a month or more. By the time the birds return the following spring, the first-year birds’ flight feathers are relatively brownish, faded, and worn, while the adults’ feathers, which are stronger and blacker and were grown a month or more later, are still clean black. 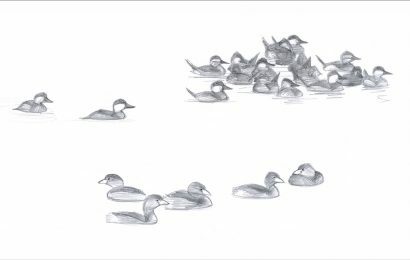 In addition, just before the spring migration, many species replace the tertials, their innermost flight feathers, at the top of the folded wing. On first-year birds, the molt creates a strong contrast between the new blackish (adult-like) tertials and the faded brownish juvenal secondary feathers. On adults, the new black tertials barely contrast with the black secondaries. 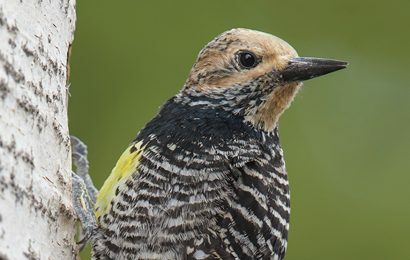 This clue to a bird’s age is particularly obvious on a few common species — Scarlet and Western Tanager, Rose-breasted and Black-headed Grosbeak — but once learned, it can be seen on many other species as well. This article from David Sibley’s “ID Toolkit” column appeared in the March/April 2017 issue of BirdWatching. View photos of Black-headed Grosbeak. View photos of Rose-breasted Grosbeak. View photos of Scarlet Tanager. View photos of Western Tanager. 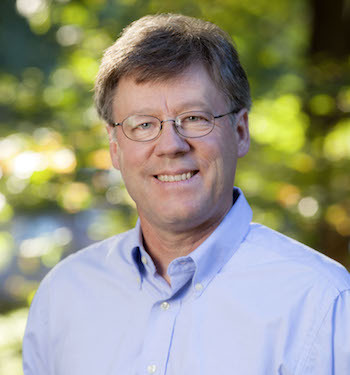 David Sibley: How reflected light gives birds their most vivid plumage.